But just when you expect the self-help guru to zig, he zags. If you find yourself answering “yes” to any or all of these questions then welcome to Life. Welcome to being a part of the human race. The fact, whether we like it or not, is that challenges are an integral part of life; and anyone who tells you differently is either lying to you (and themselves), or living in extreme denial. Thanks to that whole cooking people to death and doing time in an Arizona prison thing, you can see James at bargain basement prices. That's right. His loss is your gain. Act now and he'll take another $53 off the already low, low price. That's right! 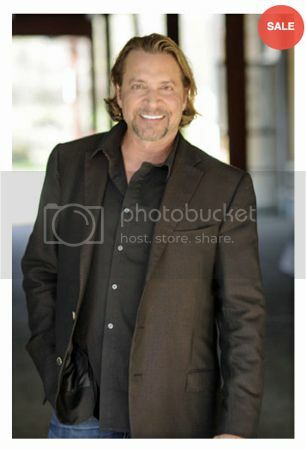 James Arthur Ray for only $297 per night! Pay for two of these magical nights and, what the hell, take another hundred bucks off! What's more, now that he's lost everything and has to sell himself for cheap to small rooms, you might even get some face to face time with the ex-con himself. Look, hundreds of thousands of people have paid from $5,000 to $10,000 to attend just one of James’ events over the years; and that was with thousands of other people; and with no opportunity to talk with him and/or ask him questions one-on-one! He won’t be doing these for long. How can he afford to do all this at such a low rate? Well, for starters, he's cut corners by not hiring a copy editor. I've never thought of James Ray as a particularly good writer, but this is unbelievable. It's just a mass of grammar and spelling errors. The paragraphs don't appear to be in any particular order. Getting to the particulars about the pricing structure and other important details is like an Easter egg hunt. But it is also a window into the man's psyche. Everybody has challenges, insecurities, and crisis of character. Everybody! From the guy on the street… to the mansion on the hill. From the out of work… to the CEO; and it doesn’t matter what you do, or what you achieve, this will always be the fact. Challenges and crisis are part of life. I think what he was reaching for there was crises, plural, of faith. A crisis of character is when your reputation is tarnished due to bad things you've done. But according to Ray, we've all had them. Apparently even inanimate objects like mansions have lost face. James Ray is most definitely experiencing a crisis of character and look at how the mighty have fallen. Once upon a time he was charging an outrageous ten grand a head for week long events with hundreds of people. But then he killed some of them and maimed still more. And now he'll be happy to get thirty people to listen to him at discount prices. Another person who one could argue is facing a crisis of character is Oprah. She's largely responsible for creating this monster. She's also responsible for promoting a failed, victim-blaming ideology that not even that monster believes anymore. And Jean Brown, sister of the late Kirby Brown, is calling her out for her continuing failure to take responsibility for building up a negligent homicider. Twice you welcomed James Ray onto your show, extolling the virtues of The Secret and its psuedo-science philosophy, the “Law of Attraction,” as life-changing. You helped catapult Ray into fame–he would go on to appear on The Today Show, Larry King Live, and others. His company, James Ray International, became a Fortune 500 company. But, like James Frey, James Ray was a liar. He misrepresented his experiences, he lied about his background, and he embellished aspects of his personal story. Yet after these deaths in 2009, other than quickly distancing yourself from the man, you said nothing. Nothing. You made no substantive comment on what had happened, you did not reach out to the families of victims, you did not even mention the tragedy on one of your many platforms. So will Oprah have Jean or Ginny Brown on and provide a platform for SEEK Safely? I'm not optimistic but I sure would like to be pleasantly surprised.